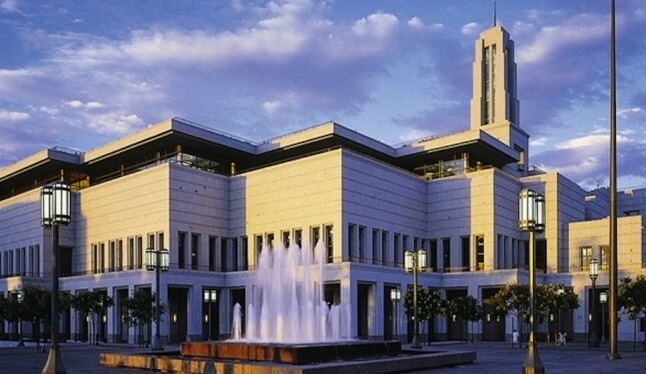 Since the recent news of the Priesthood Session being broadcast live, I have been seriously considering attending the standby line of Priesthood Session of General Conference. Strange timing right? Even though LDS Church Spokesperson Ruth Todd was unable to honor Ordain Women’s request for tickets, I think I should be there. I feel reminded of the story in the scriptures when children are brought to Jesus, but were rebuked by his disciples, and Jesus replied, “Suffer little children to come unto me and rebuke them not.” I feel that if Jesus were to address Ordain Women, it would be in a similar manner. I like to imagine that He would invite all to hear his messages in the conference center. So I want to show my support for the people involved in Ordain Women. I want to add my voice to those who petition for more light and truth. I want to follow the words of Jesus, “Ask, and it shall be given you; seek, and ye shall find; knock, and it shall be opened unto you: For every one that asketh receiveth; and he that seeketh findeth; and to him that knocketh it shall be opened.” I won’t believe anyone who tells me that asking questions makes me an apostate. I truthfully, honestly, painstakingly am looking for answers, for doctrine concerning women and the priesthood. So far I see differing counsel regarding women, but I do not see the doctrine. -Women will never have the priesthood. Men get the priesthood, women get to be mothers. -Women have access to the priesthood through their husbands. -Women have the priesthood in the temple. -Women have access to the priesthood through the powers of procreation, childbirth, and breastfeeding. -Women do not have the priesthood because they are happy as they are, they haven’t agitated for it. -Women, like Deborah in the Old Testament, only are given access to priesthood keys when there aren’t any willing and righteous men on the Earth. -Women, in the early days of the church, were ordained to the priesthood and could give blessings of healing, as well as preside over important events, like childbirth. As far as my opinion goes of women receiving the priesthood, I remain ambivalent. I do not know if women are to have the priesthood or not, and this is why I’d like to add my voice to others who seek our leaders to give us a clearer direction. I understand and agree with the arguments on the popular post on fMh, 10 Common Arguments Against Women’s Ordination in the LDS Church. I also appreciate the line of thinking found on a post by Women in the Scriptures titled The Importance of Birth. I love the symmetry displayed by saying that women are given the power to bring souls into this world, while men, through the power of the priesthood are given the power to lead souls out of this world. But this post is more or less speculation, not doctrine. I know that women have been counseled that in lieu of priesthood power, they are given the power to nurture. I find the term ‘to nurture’, as church culture has defined it, to be nebulous. I think there are nearly as many definitions or examples of nurturing as there are people. I don’t mean to dismiss the power to nurture, as seen here from a post I wrote previously. Nurturing IS important, but nurturing is not something that only women are blessed with the capacity to do. Men nurture and there is always a need for them to nurture. The most recent BYU Magazine included an article titled Changing Diapers, Washing Dishes, Wiping Tears which concluded that based on a recent study, “when husbands are more involved with child rearing, both they and their wives are more content with the division of labor and, in turn, both report higher-quality marriages.” Let us stop telling women that they only have the power to nurture. All have the power to nurture and we look to Christ, a man, as our greatest example of doing so. I hope and pray for inspired counsel this coming conference concerning women. I hope and pray that members of the church can recognize other members’ struggles without dismissing them with an accompanying label of ‘apostate’. I hope and pray for clarity for myself, my sisters, and my church. I’m perplexed by your post. It sounds like you have a testimony of the church and sustain the Prophet. If so, we follow his counsel and understand that The Lord will never allow a Prophet to lead the church astray. I’m fine with whatever counsel the Prophet has to offer. If he tells us tomorrow that we need to leave our homes and walk across the plains – fine with me. If he says the Priesthood is no longer given to men and only women – ok. Mine is not to question, but only to follow. I know The Lord leads the church and not man, so whatever direction comes from the Prophet is the will of The Lord and I will accept it as such.